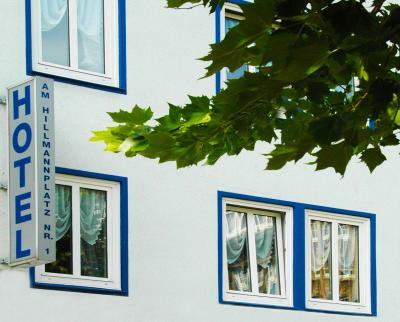 Lock in a great price for Hotel Am Hillmannplatz Nr.1 – rated 8.8 by recent guests! Terrific location and friendly staff. Upon arrival, check-in was simple and further parking directions were given. Room #8 was ours (up three floors) which was small, but worked perfect for us. Good WiFi, bath facifilities, and beds were great. Much appreciated was the electric hot water kettle with tea and instant coffee in the corridor nearby. With a few biscuits in hand this allowed us to have a leisurely start to the day rather than rushing out for coffee in the morning. If arriving after 18:00, information is given on how to access your room. Very good location, although reception is not 24 hrs, everything is felt in the care of guests (free tea /coffee, booklets, maps, toilet/bathroom items etc..). Comfortable beds. A very caring hostess. The staff was very friendly and the central position of the hotel is amazing, very close to both the train station and the old part of the city. All was very clean. Very clean. looks like a small guest house but cleanness level can match big hotels. Walk by foot 5mins you can reach main station and city central, location is good too. The room was super clean and the staff were very kind and welcoming. The hotel has a very cute minimalist design. Very clean, staff were SO friendly and welcoming, left a chocolate on the pillow, free tea & coffee facilities, they also have hot water bottles if its cold! Shower powerful, up-to-date literature about things to do in German and English available. 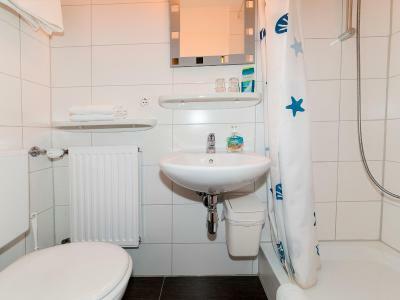 Location is great, near the train station and old town. Had the best sleep! 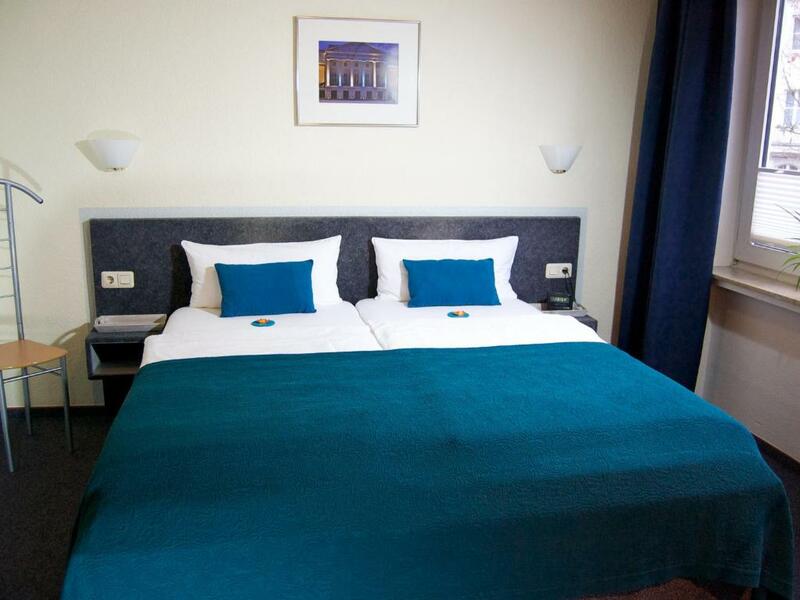 The room was clean and comfortable and the staff very welcoming and helpful. 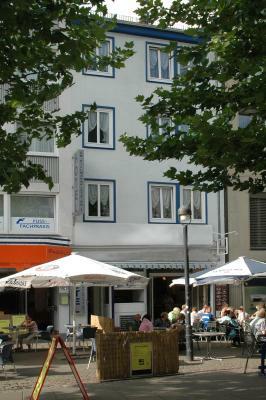 Excellent location with restaurants and shops nearby and only less than a five minute walk to Bremen Hauptbahnhof and tram to the airport. 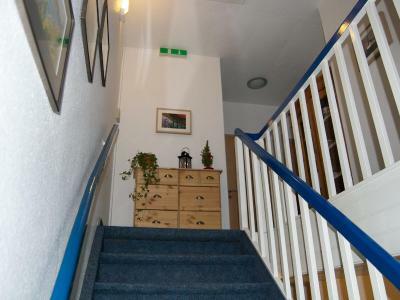 Great location in the heart of Bremen, within walking distance of all the major attractions. Very clean. Great location and very good value for money. One of our best sellers in Bremen! 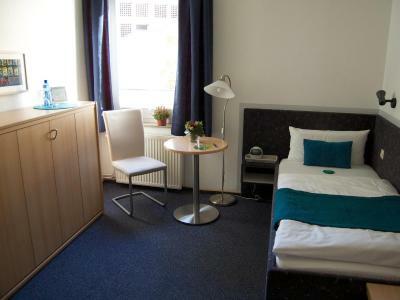 Located in Bremen city center, Hotel Am Hillmannplatz offers bright rooms with free WiFi and a free bottle of mineral water. Bremen Main Station is only 650 feet away. The individually furnished rooms come with a desk, cable TV and an private bathroom. 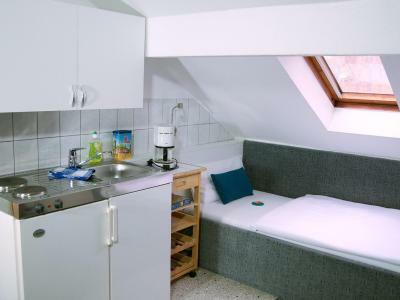 Hotel Am Hillmannplatz also offers an apartment with a fully equipped kitchenette. The historic Bremen Town Hall and Market Square are located just a 7-minute walk from the property. Bremen Arena is also 1,650 feet away. 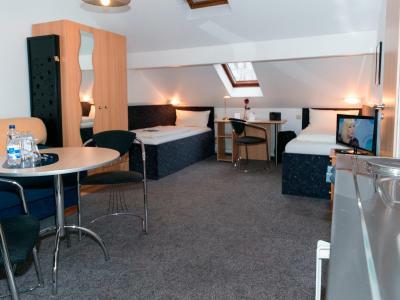 When would you like to stay at Hotel Am Hillmannplatz Nr.1? 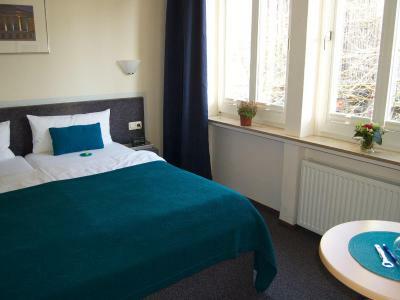 Bright room with cable TV and an private bathroom. Cots/cribs cannot be accommodated in this room. 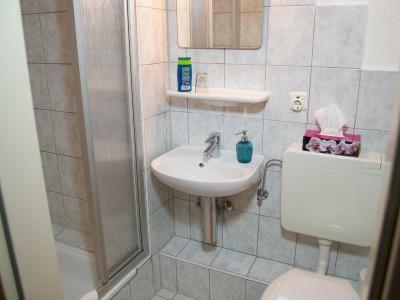 Bright apartment with cable TV and an private bathroom. Includes a kitchenette and a seating area. 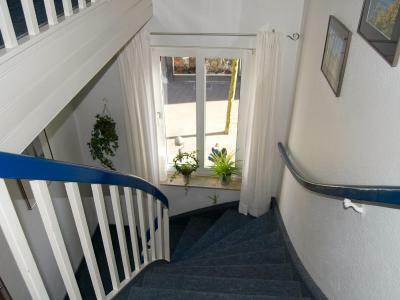 The apartment is located on the 4th floor and is only accessible via stairs. 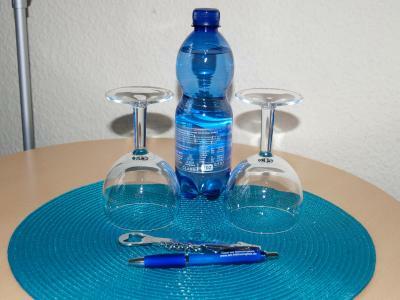 House Rules Hotel Am Hillmannplatz Nr.1 takes special requests – add in the next step! Hotel Am Hillmannplatz Nr.1 accepts these cards and reserves the right to temporarily hold an amount prior to arrival. 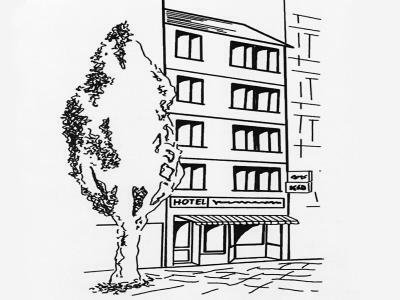 Please inform Hotel Am Hillmannplatz Nr.1 of your expected arrival time in advance. You can use the Special Requests box when booking, or contact the property directly using the contact details in your confirmation. There is no elevator, and with a heavy luggage this can be a bit problematic. Check in is not easy, coz at certain times there is no-one at the reception. The bed of my single room was very tiny. The hotel has no elevator, so it might be a problem for people traveling with heavy luggage. Lighting in the bathroom was not bright enough for proper makeup. Nobody is there after 6 pm until 8 am tomorrow. I were for 2 nights. I felt unsafely at nights and a little scared second night of may stay due to aloud noises in front of my room and probably a drunk guest wrong knocking the door suddenly at 2 am when I was slept. So, If I will be alone never choose there again. The friendly staff,good location,clean room. The reception only works between 9-18. The give you a key for the outside door. At derken de redemption is only for a half day. The second thing there is no elevator so think twice if you have heavy libya ve. Receptionist ladies were so helpful. The best thing was the location. It was in the city center and in a walking distance to most important places. None, really. Worth noting there are stairs to get to reception, my room was on the 2nd floor - but wasn't an issue for me. Steep stairs may not be suitable for baby pushchairs or elderly people or when travelling with heavy luggage. Great Location. Hassle Free Service and Best possible rooms at the price point.